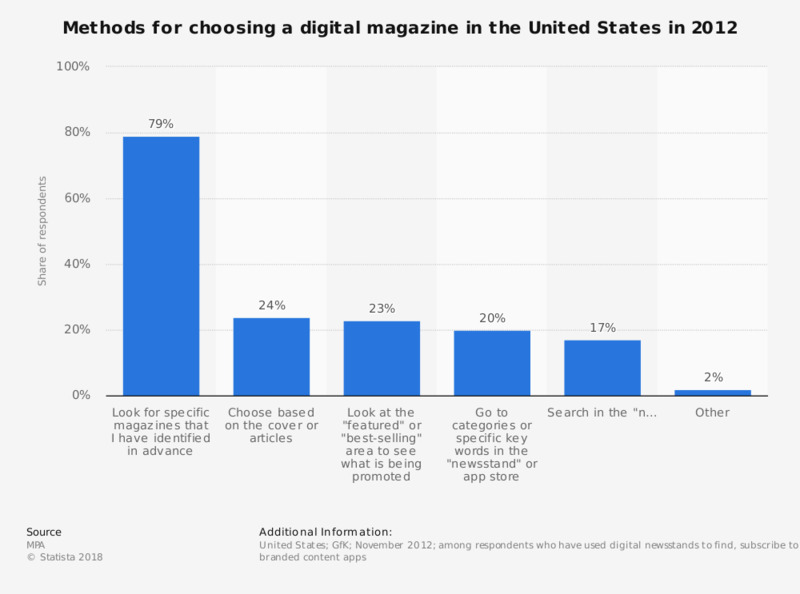 This statistic depicts the methods US consumers used to choose a digital magazine at a digital newsstand in the United States as of November 2012. During a survey, 24 percent of the consumers stated they chose a digital magazine based on the cover or the articles. The source does not provide information on the respodents' age or the type of survey used. If a game you want to purchase is available on physical and digital at the same time/same price, which would you buy?